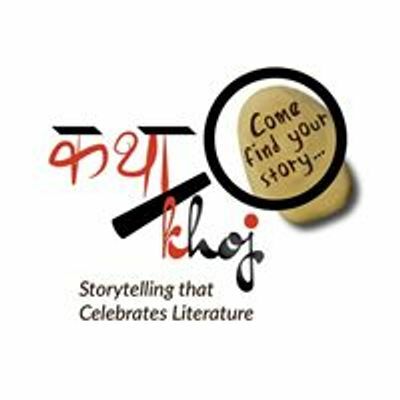 Katha Khoj is a storytelling circle for adults and young adults above 16 years. 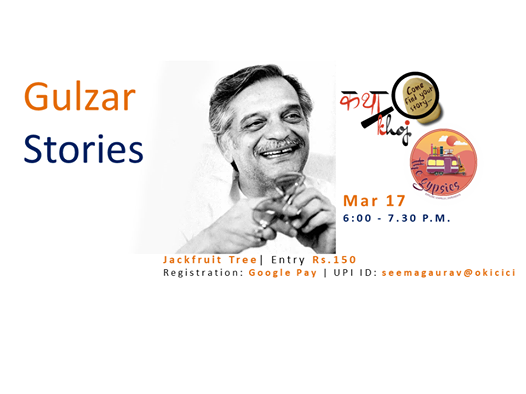 For the first time ever, we bring you an evening of stories by Gulzar. 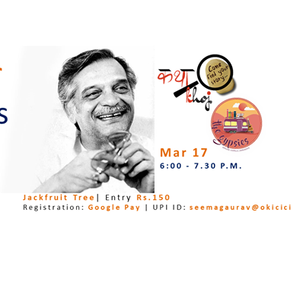 Storytellers: Namita Kichlu, Seema Gaurav, and The Gypsies Ensemble. Time: 6:00 p.m - 7:30 p.m. Seating: Floor seating, but some chairs are available.